This year alone, the United States of America has witnessed and undergone a most drastic political and economic value shift that is undeniably impacting the country in varying aspects. From our dwindling education support system, to radical hate crimes and discussion of war, we are being coerced under a leadership that does not see value in the idea of America as “The Great Melting Pot.” Rather, this administration aids in the filter agenda, suggesting that this course of action will “Make America Great Again.” With the restoration of hate rhetoric, we have also seen an emergence of activists, especially millennials, who desire to consider their country— their world— a safe haven for all. This past weekend in Charlottesville, a group of students in support of the Black Lives Matter cause, peacefully counter-protested for the rights and liberties of minorities and marginalized people. As they chanted, they were met with the fury and weapons of white nationalist, klansmen, neo-nazis and other racial hate groups, threatening them with obscenities and being physically abrasive with no remorse or consequence. A young woman was killed, many were badly injured, but all are impacted, near and far. 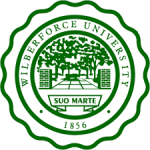 Wilberforce University – America’s First Private Historically Black College & University, founded by William Wilberforce, an English politician, philanthropist, and a leader of the movement to stop the slave trade – openly opposes racism and injustice of any kind. President Herman J. Felton, Jr., used the Renaissance occurring at Wilberforce to address this Renaissance of Racism, reflecting on the incident with his most recent open letter about the riots in Charlottesville, Virginia. President Felton questions how such occurrences would impact the student body in HBCU communities, the morale of youth and minorities within our education system, and how these youth now are to be cautious that their own campuses may be overtaken by hate.